Hi, Jan here. This Pikestreet.com inspired project was so easy to do and coloring of the cardstock was done with the eBrush and some Bic-Mark-its. Let's get started! I dry embossed the paper using a couple of Tim Holtz holiday folders and the Cut-n-Boss. 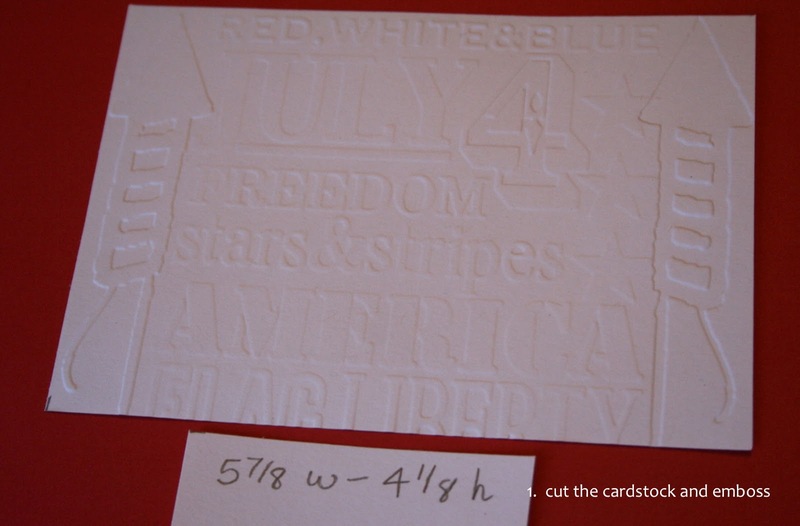 Color the cardstock using the markers and the eBrush as desired. 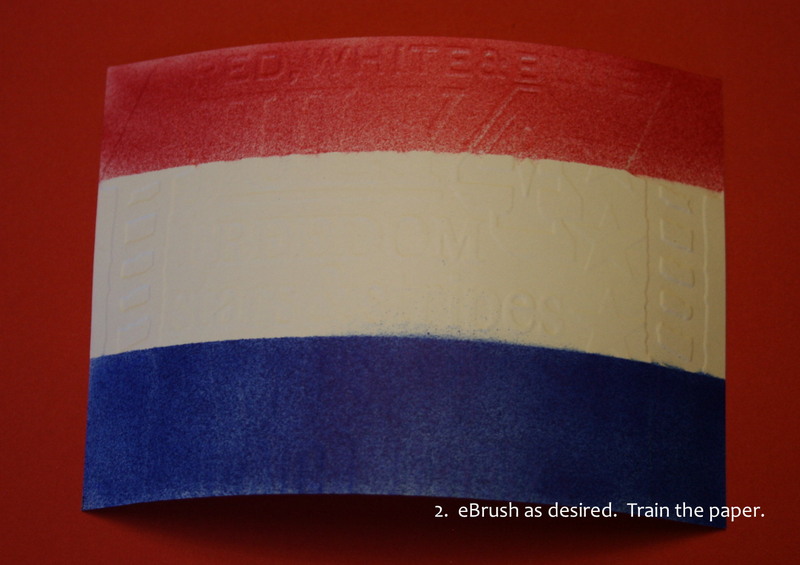 After you've completed this step, run your fingers across the paper and "train" the paper to go into the roll. Run a strip for the double stick tape on the back of one of the 4 1/8" high sides. Add another strip of double stick tape on the other end. 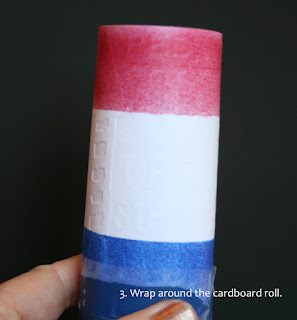 Remove the release tape and apply to the cardboard roll. Cut the balloon. You're going to trim the bottom of the balloon leaving the stem intact. Tie a know in the stem, just like you would normally do if you were to blow the balloon up. This will be the pull. 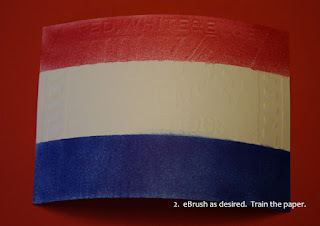 Add another strip of doublestick tape to the bottom of the cardboard roll. Remove the release tape. 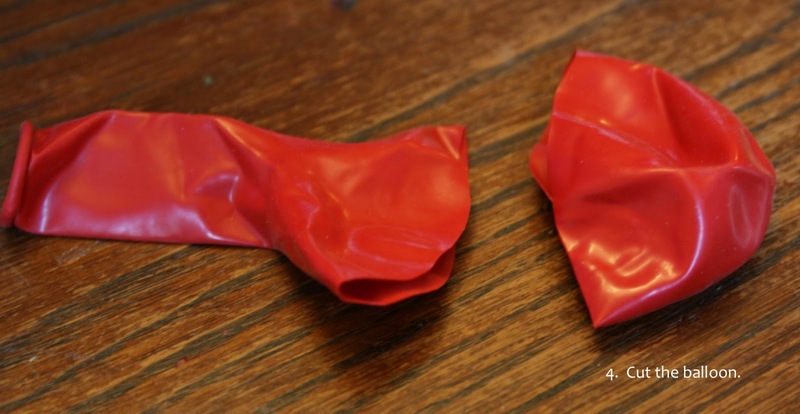 Carefully, pull the balloon's cut edge (the piece with the stem) over the bottom of the roll and secure with another piece of tape, especially if kids will be using the launcher. 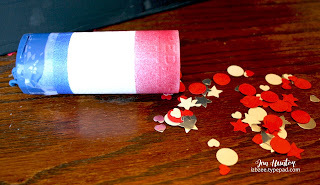 Fill you launcher with a handful of confetti - you can cut your own using punches, a die cutting machine or use some holiday confetti from the party store. So much fun! Have plenty of confetti on hand for the kids to fill and refill! Have a happy and safe 4th of July. Be sure to check back. More creative fun coming!